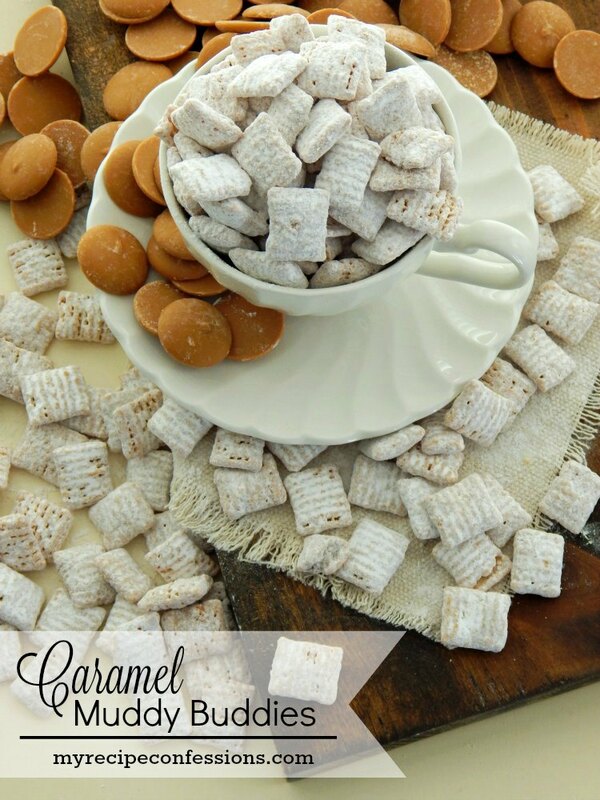 Caramel Muddy Buddies are mind-blowing delicious! Once you try them I know they will become your go-to treat. My kids devoured them in no time at all. 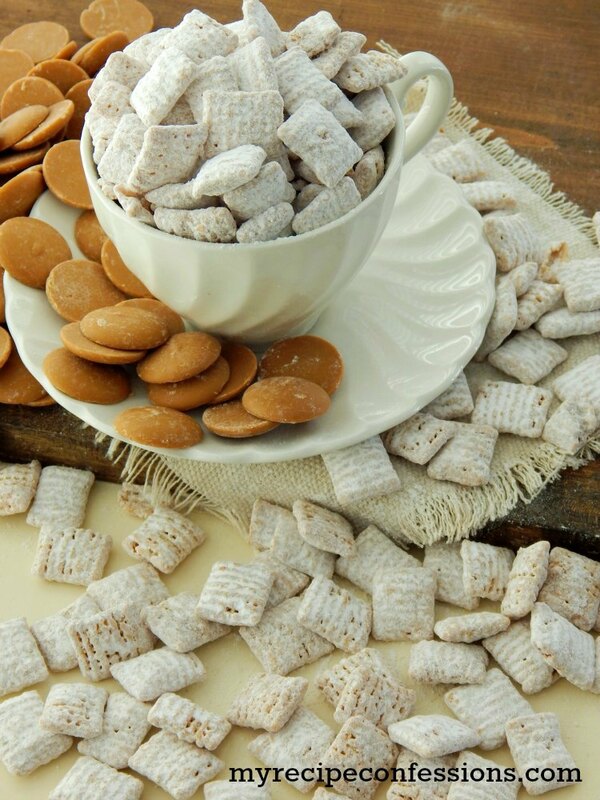 If you have ever made muddy buddies before, you know that they are super easy to make. 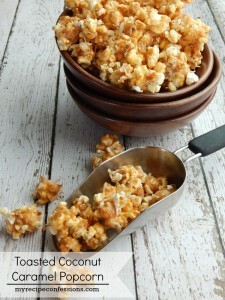 You can make a batch in under 10 minutes and this recipe only calls for 3 ingredients. Crazy I know! They are so addicting! My kids were all crowded around me when I was making them. As soon as I was done and I gave them a taste, the first thing that came out of their mouth was “Mmmmm”. 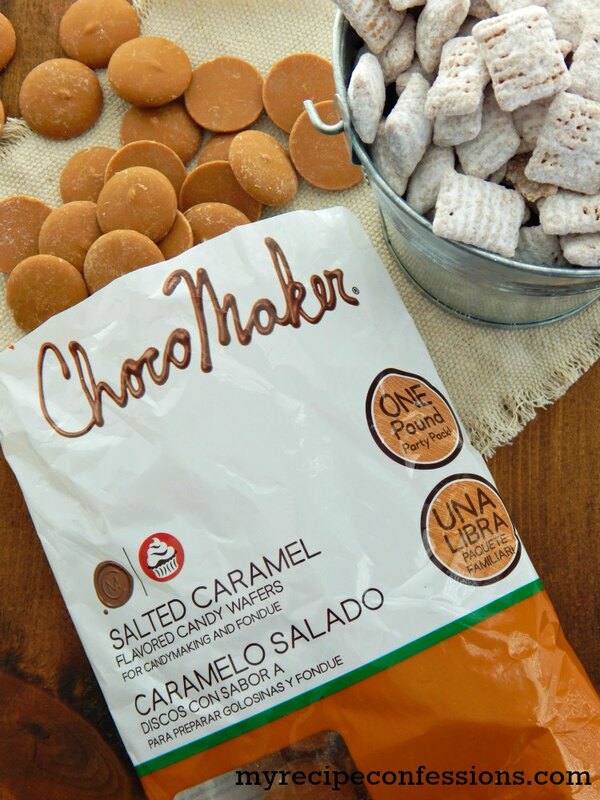 I think these Caramel Muddy Buddies would make the perfect neighbor, teacher, or co-worker gift. 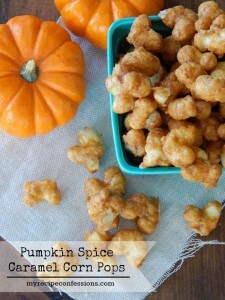 If your kids like to help in the kitchen, this is a great recipe to let them help out with. You can find the Choco Makers Caramel Candy Wafers at Walmart in the baking aisle. I am not sure if they are a seasonal item, but just in case I think I might stock up so that I can enjoy these babies all year-long. Place the caramel wafers in a microwave safe bowl and melt in the microwave for 2 minutes (or until completely melted), stirring every 30 seconds. Place the rice chex in a large Ziploc bag. 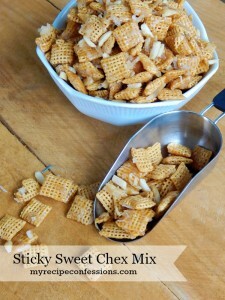 Pour the melted caramel over the rice chex in the Ziploc bag and seal the bag. Shake the bag until all the cereal in coated. Add the powder sugar to the bag and seal it. Shake until the cereal is completely coated. Store in an air tight container. Here are a few other treat recipes you should try.